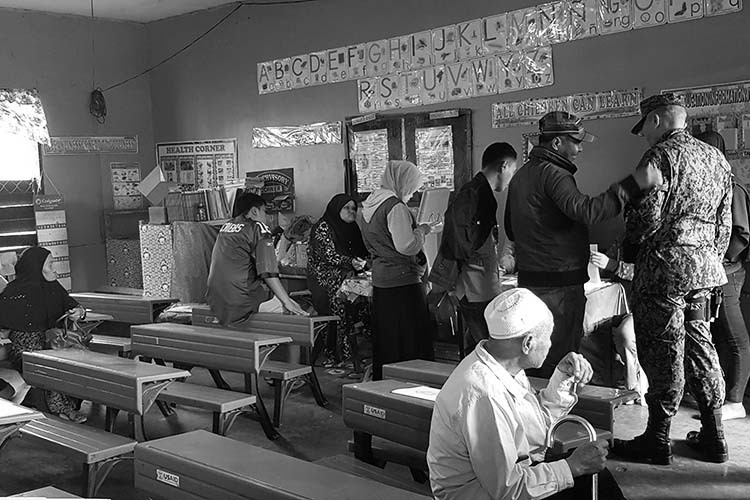 MANILA — As the canvassing of the Bangsamoro plebiscite results continues, the latest Social Weather Stations (SWS) survey showed that 79 percent of Muslims nationwide favor the approval of the Bangsamoro Organic Law (BOL). In the SWS report released Monday, 67 percent of Muslims nationwide say they definitely want it, 12 percent somewhat want it, 14 percent were undecided, 4 percent somewhat do not want it, while 3 percent said they don’t want it. This gives a net approval score of +72. The same survey also showed that there is a higher net approval among those who understand the law. For respondents who have extensive knowledge about the BOL, a net approval was recorded at +43, with 62 percent saying they definitely/somewhat want it and 19 percent who said they somewhat/definitely do not want it (19 percent undecided). President Rodrigo Duterte has since pitched for the creation of the Bangsamoro Autonomous Region, officially the Bangsamoro Autonomous Region in Muslim Mindanao, being the first president who hails from Mindanao and bore witness to the ‘Moro problem’. The President, in a “peace assembly” held last Jan. 18 – or three days before the first plebiscite on Monday, January 21 — called on the people of Autonomous Region in Muslim Mindanao (ARMM), Cotabato City, and Isabela City to cast their vote for the BOL’s ratification. “Let us use the plebiscite as a peaceful means to finally correct the historical injustice committed against the Bangsamoro people,” Duterte said. The net approval of the BOL was higher among those satisfied with his performance, at 20 percent. Some 5 percent are undecided, while a -3 percent said otherwise. Upon approval, the historic law would pave the way for the abolition of the ARMM, which was established in 1989 through Republic Act 6734. The ARMM groups the provinces of Basilan, Lanao del Sur, Maguindanao, Sulu, and Tawi-Tawi. The Bangsamoro government will be parliamentary-democratic in form, a first in the country’s political history. It will be headed by a regional leader called a chief minister, who will preside over an 80-member parliament. The nationwide SWS poll, conducted from Dec. 16 to 19, 2018, was determined using face-to-face interviews of 1,440 adults ages 18 and older.